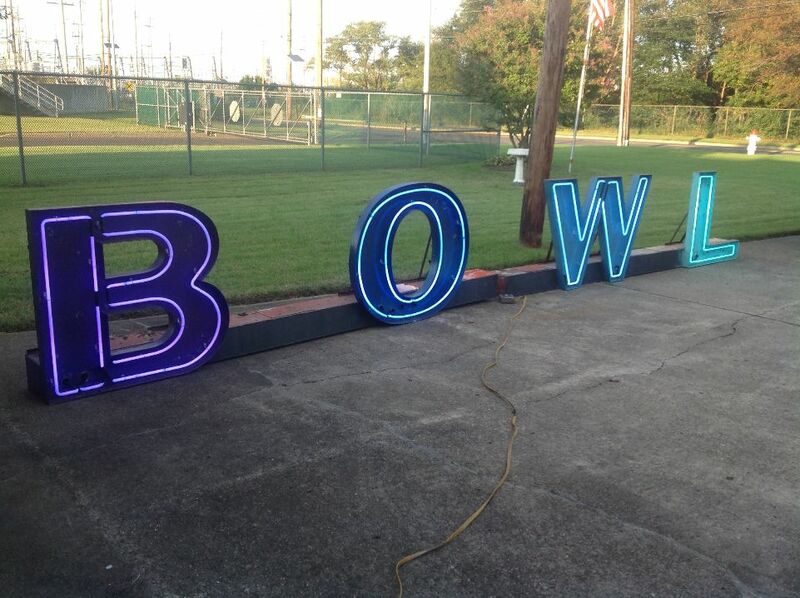 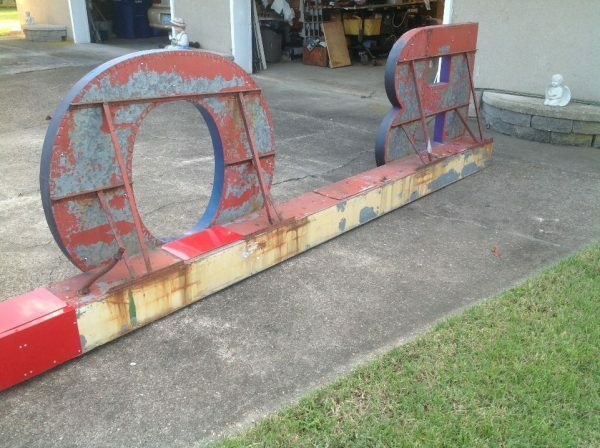 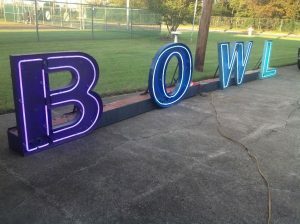 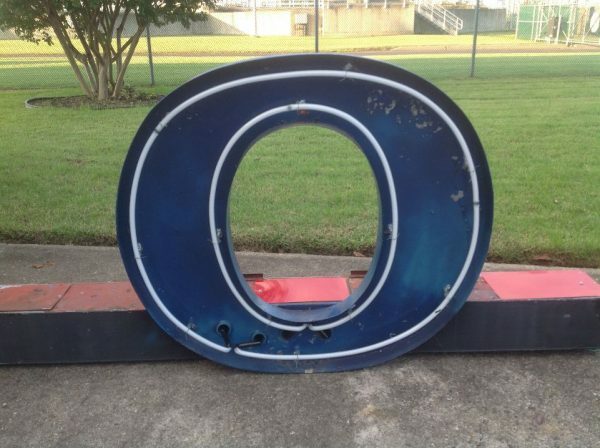 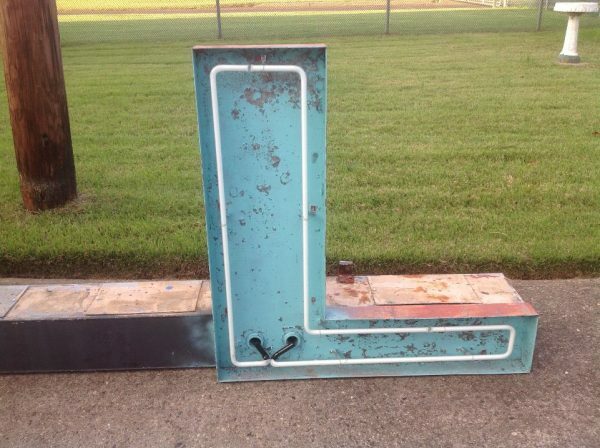 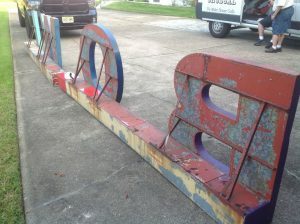 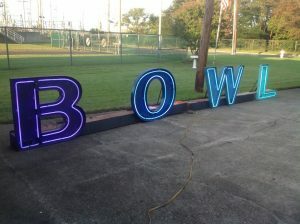 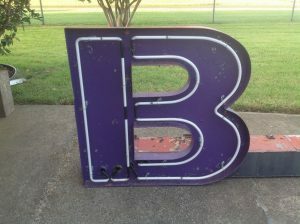 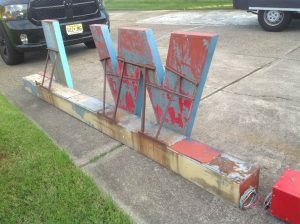 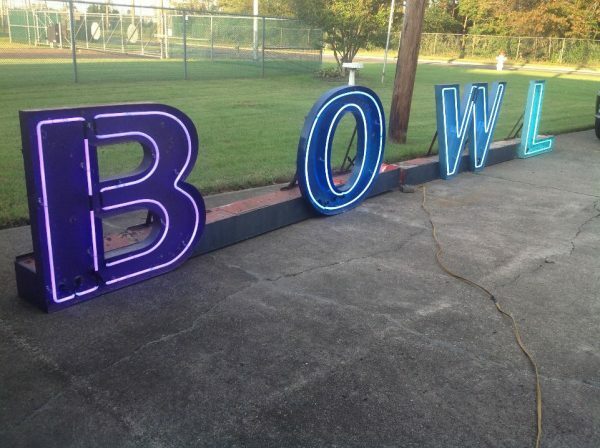 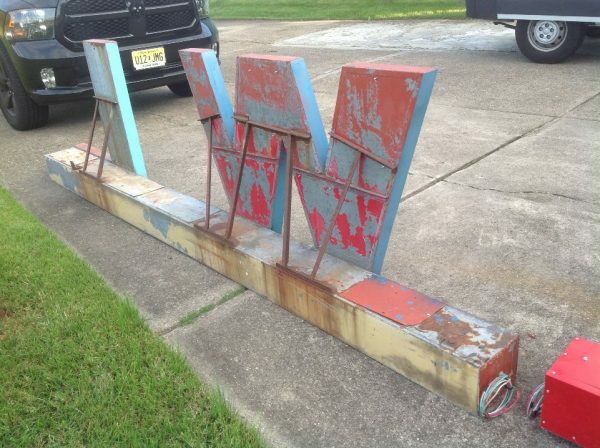 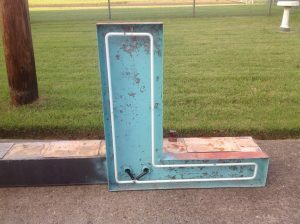 Mid-century Bowling Alley neon sign measuring about 22′ long in working condition. 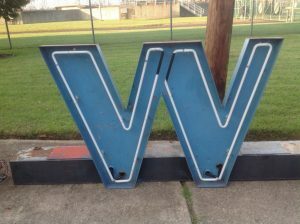 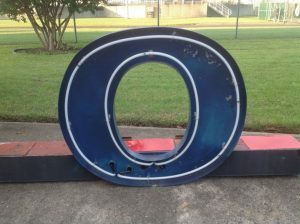 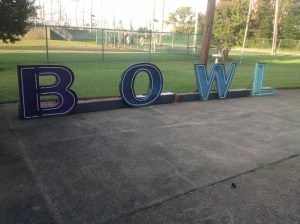 Two section sign with new neon installed for years of use. 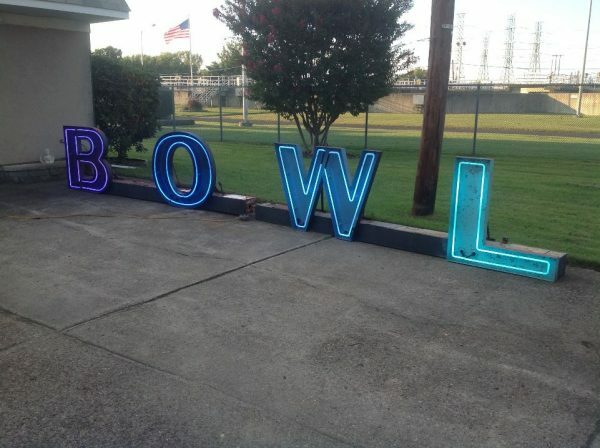 Each letter lights up the color of the letter.